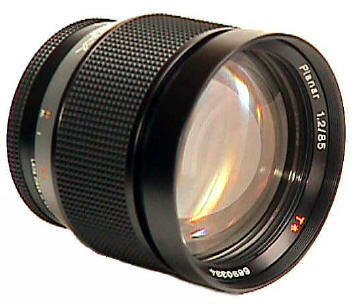 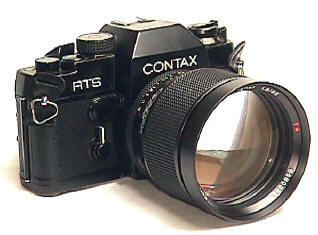 This huge optic is one of the very few 85/1.2's ever made. 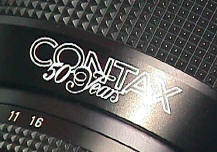 Not an ordinary catalog item, I am told they were made only for the 50th and 60th Anniversaries of Contax, in 1982 and 1992. 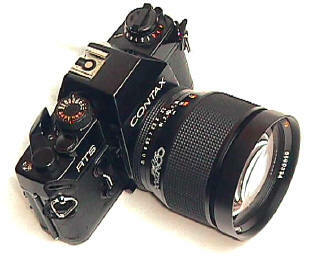 Weighing in at two pounds, you are not inclined to forget it is on the camera. 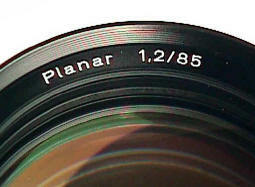 Close focus is one meter, filter size 77mm, and minimum f/stop f/16.